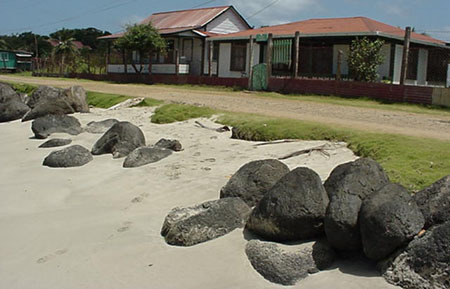 Hotel Paraiso is one of the oldest hotels on the island catering to tourists. 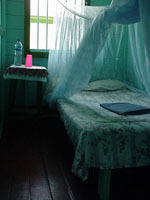 Hotel Paraiso has 15 cabana-style rooms with private bath starting from $45. 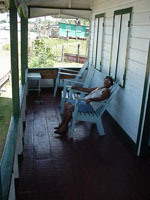 Rooms with TV and Air-conditioning are also available for an additional fee. Paraiso has a popular restaurant on site. Visa accepted. 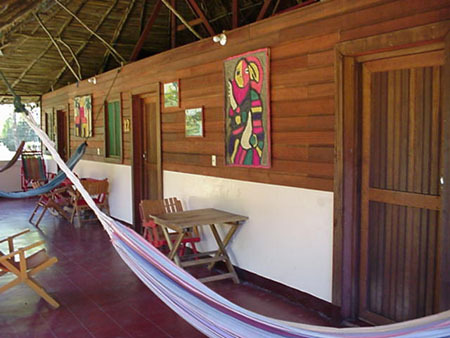 This family-owned and operated hotel is a favorite among backpackers with rooms from $10 (single) - $15 (double) per night and located right on the beach! 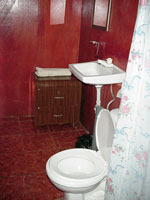 Located right "in town" with six rooms with shared bath from $10/night. 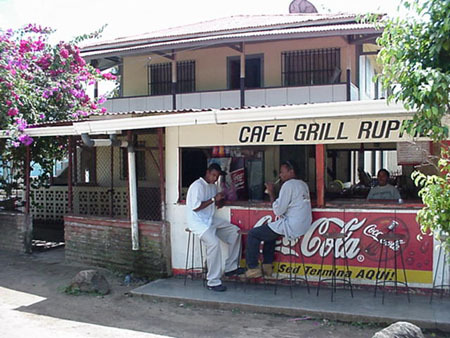 Hotel Ruppie also has a popular café known for its fresh fruit and vegetable juices. 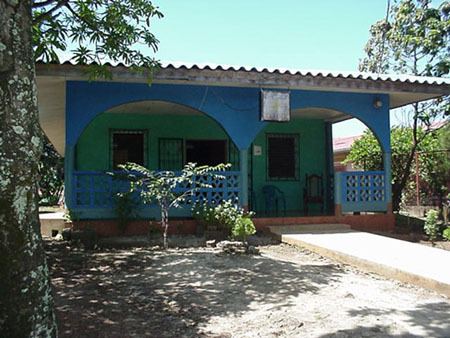 Located directly behind Puerta Del Sol, Hospedaje Angela is famous for it's friendly islander hospitality. 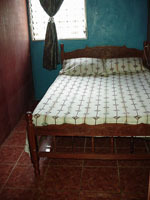 There are six rooms with fan from $8 single and $10 double. 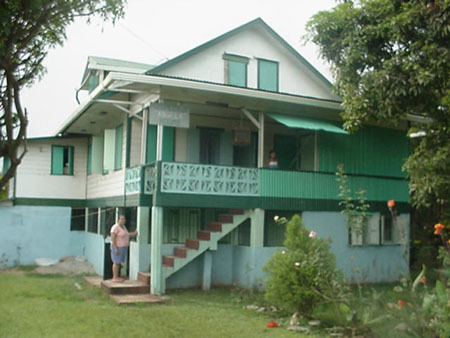 Located on the main road just a short walk from the municipal docks, Hotel Creole has 8 rooms with private bath from $10/night.